Apple Pay marks its two-year anniversary this week, and while it supposedly helped spark a revolution for in-store mobile payments, there's not much celebrating by Apple or its payments rivals. While Apple, Samsung Pay, Android Pay and many others keep adding users, the rate of adoption is far below what was expected when Apple Pay arrived on Oct. 20, 2014. More worrisome is the low repeat-user rate. Many consumers will sign up for a payment app and try it out with contactless technology like Near Field Communications (NFC) on a smartphone once to buy something in a store. After that, many don't bother to do it a second time, because it is just too easy to use a credit or debit card -- or even cash, according to a recent survey. The problem is especially pronounced in the U.S.
Strategy Analytics estimates there are now 11 million contactless mobile payment users in the U.S., but just 2.3 million who are active users. The firm said there are just a third as many NFC-based mobile payment users as it projected in 2010. Analyst firm eMarketer estimates that more than seven million people use a smartphone mobile in-store payment app at least once every six months in the U.S. higher -- a number that's expected to more than double in 2020. "There are two reasons why mobile in-store payments have failed to take off: conventional payments are not broken and consumers aren't clear on the benefits of switching to mobile payments," said Nitesh Patel, an analyst at Strategy Analytics. "Mobile wallets haven't yet proven they are measurably better than incumbent payment mechanisms, which general work quite well," said Jordan McKee, an analyst at 451 Research. "It's incredibly easy to swipe or dip a credit or debit card at a payment terminal and U.S. consumers are used to this mature payment application where they know they are well protected from financial loss," added Avivah Litan, a Gartner analyst. "It will take a lot of persuasion and financial incentives to get consumers to change their payment habits." Even industry insiders understand the dilemma. In-store mobile payments, "in a way, are a cool ploy with no purpose," said Mark Ranta, director of product management for digital banking at ACI Worldwide. ACI provides mobile and other payments software to banks, merchants and others. "People ask, 'What's the benefit?'" Ranta added. "For someone who's not tech savvy, they have probably tried it once and said, 'What's the big deal with this? Opening up my wallet and swiping my card wasn't a big deal to me, so why do I need to get rid of that habit? Instead of relying on some weird, wireless thing -- screw that. I have a physical card that I can put in a terminal." Not everybody feels that way. The biggest users of mobile wallets are under age 35, according to various surveys, including one in May by The Pew Charitable Trusts. Smartphone users will pay for goods over the internet or through an app without entering a store, but in-store mobile payments are not as popular. "We're still at the early-adopter stage," said Bryan Yeager, an analyst at eMarketer. Ranta, who is in the under-35 age group, likes the idea that he can use his iPhone with Apple Pay instead of a credit card to pay for things. 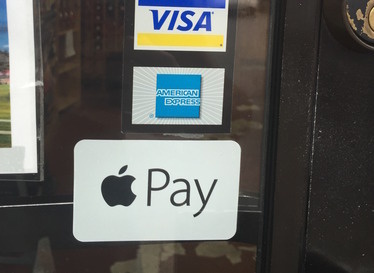 The only problem is that not every store will accept Apple Pay. 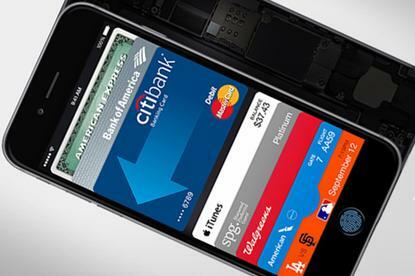 "I'm pretty outspoken with my frustration with Apple Pay," Ranta said. "I live in New York and can't really use Apple Pay without my wallet for purchases at gas stations and other places. When I pull out my phone to pay, I have to know they accept apple Pay. The biggest problem they have is that it's not universally accepted." Yeager agreed, saying a lack of widespread acceptance by stores of NFC and other forms of contactless payment is the biggest challenge. "I might try it once and then it's really a matter of where I shop next and whether they have it, so you'll have a drop-off in users," he said. "Once we have ubiquity and more promotion of the technology and its security, it will take off." To some extent, Samsung Pay has circumvented the problem with its purchase of LoopPay mobile magnetic payment technology to include the ability to pay at a magnetic stripe reader terminal as well as with NFC. "Samsung Pay has the ability to mimic a swipe of a mag-stripe card, which gives it a little bit of a leg up," Ranta noted. With Apple Pay now two years old, Ranta said it will take another three years before NFC payment terminals are widely available in the U.S. The implementation of smart chip cards mandated by banks and card companies for retailers a year ago is slowly making NFC payment terminals more widely available, even in smaller stores. Those NFC terminals can accept Apple Pay and many other smartphone payment apps, as long as software is turned on to accept it. Some smaller stores, however, may not want to enable every mobile payment app from various banks, merchants and smartphone maker because there are so many. Ranta believes, however, that smartphones will soon be used to store multiple payment apps to increase the chances of having one that works at nearly every store. There are already too many ways to pay for merchandise in stores, which will put demands on the financial services industry to consolidate, he said. "We already have point-of-sale paralysis," Ranta said. "You have 13 different ways to pay for gum: maybe with three different credit cards, cash cards, Apple Pay or another app and you could also have a QR code from Dunkin.'" One irony is that despite all the mega-investments Apple, Samsung and others have made in NFC on smartphones, Starbucks, Dunkin' Donuts and Walmart Pay let customers pay using a QR code displayed on a smartphone -- a far cheaper alternative. The biggest reason for the Starbucks' success is not necessarily QR codes, but how well it and other companies are building customer loyalty with their payment apps through coupons and rewards. A free coffee might come on a person's birthday, for example, or a coupon for a special holiday offer might be easily redeemed with a wave of a phone. "So far, mobile wallets, particularly NFC, have yet to integrate payments with loyalty in a compelling way," Patel said. "You need a single tap to redeem or accumulate points and coupons." Added McKee: "It's what you build on top of the payments that truly matters. The ability to use a smartphone as a credit card surrogate isn't sufficient to drive mass market adoption." Ranta said that Walmart Pay "could be big" if only the retailer would credit a user 5 cents right in the app for every candy bar purchase. "They have all the pieces for mobile payments, but not having rewards is killing them," he said. "Rewards are the holy grail of mobile payments." Not everybody agrees. "Loyalty programs aren't right for every type of merchant," Yeager said. "It makes a lot of sense for Starbucks to make the app stickier. The problem for smaller businesses like the local coffee shop is how to create a digital punch card to buy coffee. It will help smaller merchants to have something like Apple Pay." Consumer incentives to use mobile payments probably need to come from credit card companies and the banks that back them. But they're unlikely to do so without threatening the credit-driven ecosystem they've built over decades, Litan said. "The credit card industry has spent billions on consumer incentives for plastic payment cards, with loyalty programs, marketing and security protection -- and it has definitely worked," Litan said. "I haven't seen the same kind of incentives introduced for mobile payments. But the card industry really doesn't have anything to gain by doing so. "In fact, they could lose, because once U.S. consumers embrace mobile payments big time, the payment software inside mobile payments could move away from credit and debit cards into cash-like payments and then easily erode credit card market share. The bank and credit card industry is highly aware of this fact." What Walmart and many other major retailers want more than anything is to move away from the "swipe" fees they pay banks for each credit card transaction. (Those fees average about 3%.) To do so, they are attempting to use their own mobile payment apps. "Banks are in an enviable spot and still own the keys to the kingdom," Ranta said. "They are too strong today, but there's downward pressure on swipe fees from companies like Square," which charges less for swipes. Ranta doesn't believe that cash loaded onto mobile payment apps will ever replace credit card apps. "Banks won't be displaced, but their position is weakening." He predicted swipe fees will be lowered, eventually, as banks feel pressure to do so. That could create partnerships between banks and card companies with retailers to create consumer rewards and other incentives to use payment apps. "The banking industry has to change," Ranta said. "It's been a monolithic industry with minimal innovation for over 20 years. It's kind of crazy for banks to point out that they added the smart chip to credit cards, but that's not really innovation. It's evolutionary; the old product wasn't secure so they just added a chip for security. We're at an inflexion point with mobile payments. "Where the revolution has to happen is at the banks, most of us agree."